While Liberating Structures include many useful ways to improve meetings and organizations, one of the “simplest” offered — “1-2-4-All” — has a big problem. It claims to uncover a group’s “important ideas” in just twelve minutes. But in practice it invariably misses innovative ideas that need time for the group to understand and value. Look up “voting” on Google and the top search results are dominated by links about electoral voting. Making decisions (about elected leaders, opposing choices, and action plans, etc.) is the first function of voting that comes to mind for most people. In a participatory meeting environment, however, rather than simply a means to make a decision, voting is most useful as a way to obtain information early in the process; a “straw poll” that provides public information about viewpoints in the room and paves the way for further discussion—a process I call participatory voting. Perhaps surprisingly, voting is not a simple, well-defined process. The International Society on Multiple Criteria Decision Making lists more than four thousand articles on decision theory in its bibliography. Voting, it turns out, can be a complex and subtle business. For most of us, “group voting” brings up the concept of voting as decision-making. But voting can be used to test learning, and to elicit and share information. To guide your choice of the participatory voting techniques I’ll cover in later posts, here are short descriptions of various ways to use voting in meeting sessions. It’s often unclear whether a group has formed a consensus around a specific viewpoint or proposed action. Consensual participatory voting can quickly show whether a group has reached or is close to consensus, or wants to continue discussion. It can also pinpoint those who have significant objections to a majority position and give them the opportunity to clarify their reasons for opposition. How people use voting techniques depends a lot on their presentation/facilitation/management style. If you are focusing on making a decision, voting is a tempting method to obtain an outcome. But if a vote is held prematurely, before adequate exploration of alternatives and associated discussion, the “decision” may have poor buy-in from those who voted in the minority or who feel they weren’t heard. People will rightly feel ambushed if they are asked to vote on a decision without adequate warning and opportunities for discussion. Thus, if you plan to use voting for decision-making, explain up front the processes and time constraints you will be using prior to the vote. Unless the vote is purely advisory, give participants the chance to determine what they will be voting on, and how it will be framed. Such preparation lets people know their opportunities to shape discussion, and minimizes the likelihood that unexpected premature voting will cut off exploration of important creative or minority options. The participatory learning philosophy I espouse concentrates on these deeper learning skills. From this perspective, traditional voting supplies limited information when used as a testing tool. We know that small group discussion is key to effective learning during an event. But how do we set an initial context for discussion? Participatory voting techniques supply important information about the views, preferences, and experiences of participants, both as a group and as individuals. This information can then be used to set up appropriate discussions. Perhaps the most important benefit of participatory voting techniques is their ability to elicit important information about the people, needs, and ideas in a group and make it available to the entire group. Although some voting techniques can be used to provide anonymous or semi-anonymous information, I believe that sharing information provided by group members to group members is one of the most powerful ways to strengthen connection, openness, and a sense of community in a group. Allowing participants to discover those who agree or disagree with them or share their experience efficiently facilitates valuable connections between participants in ways unlikely to occur during traditional meetings. 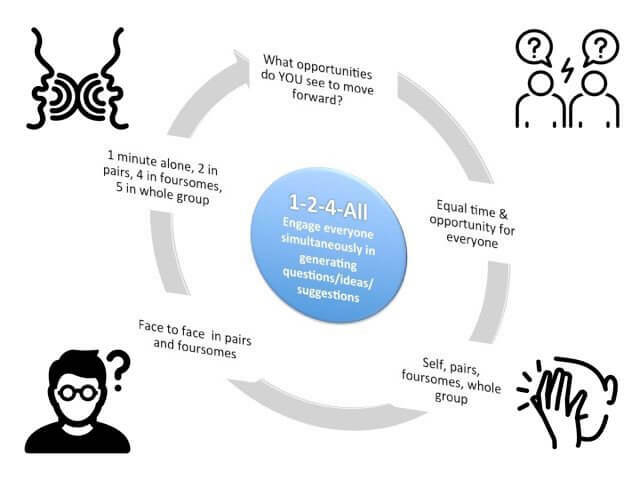 Giving group members opportunities to harness these techniques for their own discoveries about the group can further increase engagement in the group’s purpose. Participatory voting techniques such as card voting provide large groups the real-time feedback required to productively steer a complex conversation to best meet the needs of the group. Finally, we can use participatory voting to uncover group resources, interest, and commitment on specific action items from individual participants. If you’re using voting to test understanding of a concept or explore a group’s knowledge of a topic, include time for small group discussion before the vote. Pair share is a great technique for this. Provide enough time for each participant to think about their answer and then have them pair share their understanding. After the vote, you can facilitate a discussion with the entire group about the differences uncovered. 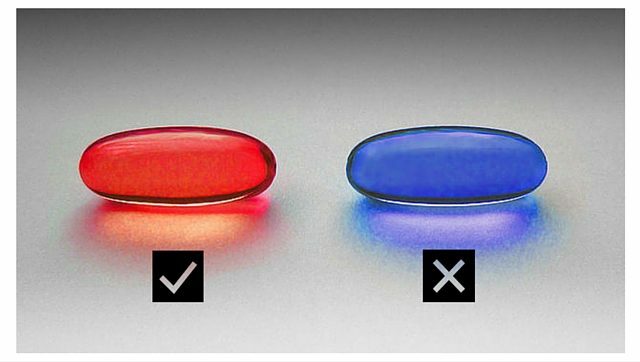 To avoid making premature decisions, use consensual voting to uncover significant alternative viewpoints and test the depth of agreement before confirming that you have substantial agreement through decision-oriented voting. Think about when and how you use voting. Voting on alternatives that have been inadequately explored or discussed is counterproductive. Use public voting methods whenever appropriate—which is, in my experience, most of the time. If people wish to “sit out” their vote when using participatory voting, support their right to do so unless you are testing for consensus, in which case it’s reasonable to ask for their feedback. Consider using anonymous voting if people seem reluctant to express an opinion. Read more about participatory voting at events in Part 2 and Part 3!